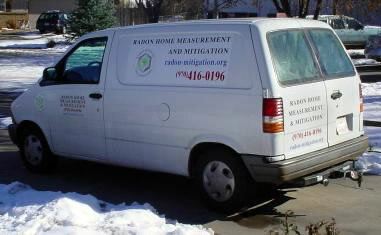 Are there qualified professionals who could help you solve your radon problem? If you have decided to investigate what can be done about a radon problem in your (current or future) home there are professional mitigators that can help you. The National Environmental Health Association (NEHA) certifies mitigators (and recently also the National Radon Safety Board, NRSB). This means that these mitigators not only have gone through training but also agree to follow the EPA standards for radon mitigation. This is the best way to ensure that the mitigation system not only works immediately after implementation, but also for a long time after the project is done. Because of the knowledge of alternative systems by the NEHA certified mitigator it also ensures that he or she can help you find the most economic solution while staying within all EPA standards and guidelines. "I have investigated the guidelines for testing and standards for mitigation formulated by the EPA as it relates to the radon issue and found that there is a good reason for each of them: the guidelines and standards try in the best possible way to ensure that a homeowner can count on that he/she and his/her family have a minimum excess lung cancer risk over a lifetime and can be compared to someone living in a radon-free environment. 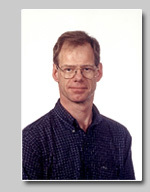 The recommended standards included the most recent scientific information on this subject available when they were written in 1993 and 1994. (Standards for real estate transactions: mitigate if the radon concentration is measured above 4.0 pCi/L; consider to mitigate if measured between 2.0 and 4.0 pCi/L). For the work of those homeowners, sellers or contractors who are ignoring or not willing to follow the EPA guidelines the above statement can not automatically be made. Ask the mitigator who presents an estimate for your radon mitigation if it follows the EPA standards of 1993 (and revision 1994). Do not settle for someone who only states he is "EPA-trained", unless he states he will follow the EPA guidelines when he is mitigating your home. The same should be true for your radon tester. A test result should state it is done following one of the EPA radon protocols and the tester or test laboratory should show a NEHA- or NRSB certification number (not an EPA-number, because they are not valid any longer) or the test is most likely not a test that follows the EPA guidelines".